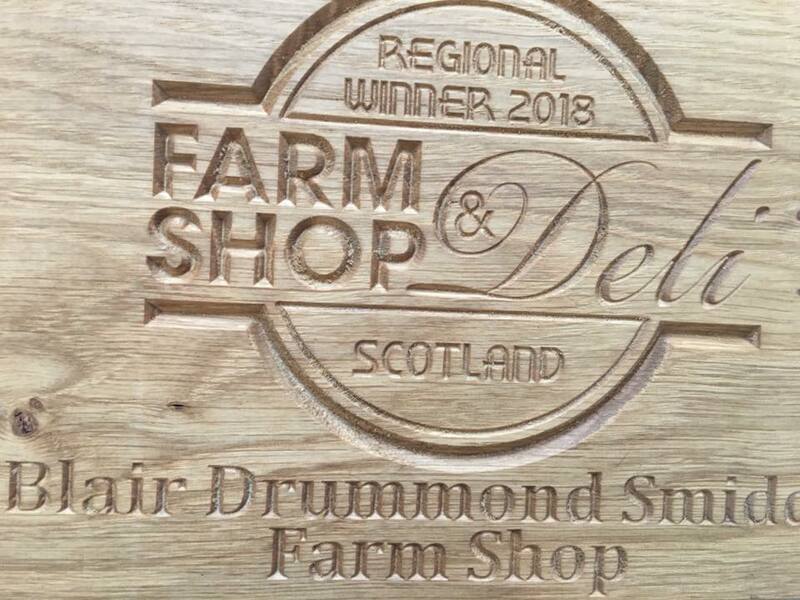 Blair Drummond Smiddy was the Scotland regional winner in the Farm Shop and Deli Show awards at the NEC in Birmingham. We are all delighted and so pleased that we are obviously doing something right. Well done team. In other news, the road into The Smiddy has been tarmacked as I am sure a lot of you will have noticed. A much smoother drive now! Our Butchers have been winning lots of prizes again. Stewart, The Butchery Manager, was in Ireland recently in The World Butchery Competition, representing the UK and while the UK didn’t win, it was commended. At the Craft Butchers’ Competition in Perth in April, the boys won three gold medals and three silver medals. The boys managed to do all of this as well as feeding all their regular customers. has been heightened and turned. This has helped create a more professional space from which to work. The menu will be changing soon so all our regulars can look forward to that. The Shop and Deli are constant in their delivery of new products to all our customers. We like to keep people interested!